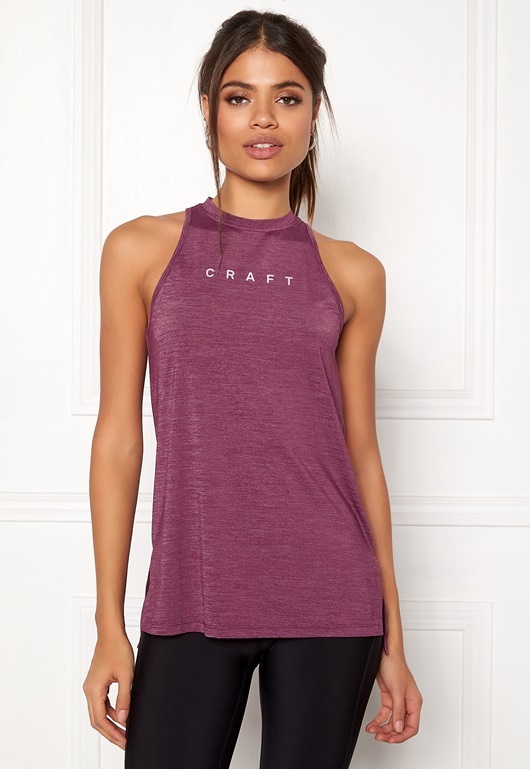 Gorgeous workout tank top with mesh sections from CRAFT. 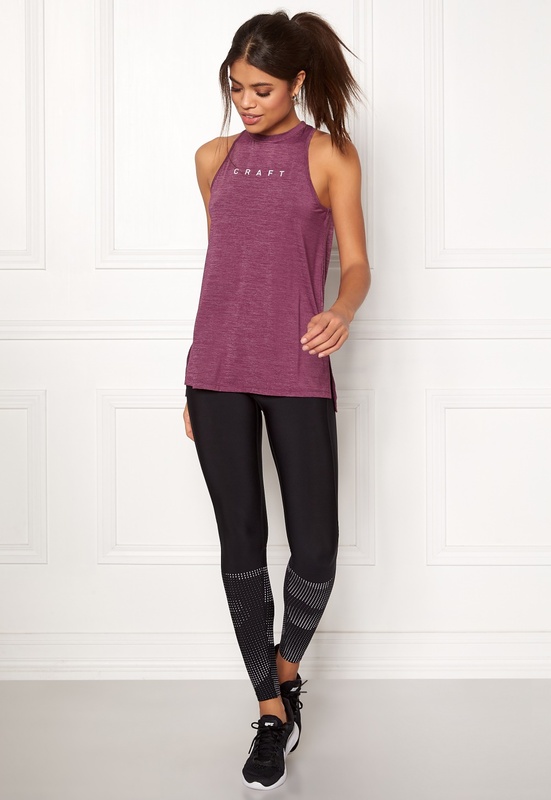 The tank top has a great quality and is an A-line fit. - Soft, stretch quality - Comfortable, relaxed fit - Slightly higher neckline - Brand logo at front - Small openings at bottom sides Back length from shoulder 71 cm, bust 86 cm in size S. The model is 176 cm tall and wears a size S. Machine wash at 40 degrees.